Please check out my main Easter post, last night's, for Easter Vigil! Urbi et Orbi message: Happy and Holy Easter! Jesus, who was crucified, is risen! It's Good News, the basis of our faith and hope. Jesus, Love incarnate, died for our sins, but the Father raised him and made him Lord. Love has triumphed over hatred, mercy over sinfulness, good over evil, truth over falsehood, life over death. So we say, “Come and see!” The Good News is a testimony to unconditional and faithful love; it's about encountering others, being close to those crushed by life’s troubles, sharing with the needy, standing at the side of the sick, elderly and the outcast… Love is powerful, gives life, and makes hope blossom. Lord, you who have conquered death, help us to seek, find, love, and adore you. Help us to overcome hunger and wastefulness. Enable us to protect the vulnerable. Comfort all who can't celebrate Easter with loved ones because they've been unjustly torn from them. Comfort immigrants. End all war and conflict, and grant life and peace to everyone! Moved to greater love to experience the risen Jesus bringing joy and peace. 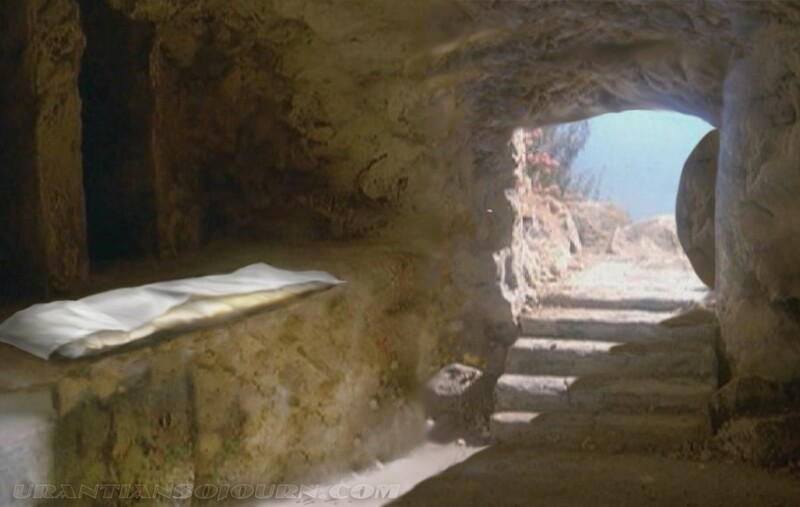 I sit in the empty tomb and reminisce with Peter and John about Jesus. What do we say? How do I feel? Joy compels us to share the good news. Please send me your Easter favorites so I can use them during the season!